California’s Department of Industrial Relations released the state’s 2017 occupational injury and illness data on employer-reported injuries, which shows the number remaining stable from 2016. Of the 466,600 nonfatal reportable job-related injuries and illnesses in 2017, 78 percent occurred in private industry and 22 percent in state and local government sectors. Both the statewide all-industry count of “lost time” cases (referred to in the survey as “days away from work, job transfer, or restriction” or DART cases) and the number of “days away from work” cases (DAFW) remained steady. By occupation, DAFW rates were highest in 2017 for cleaning and maintenance workers (311 cases per 10,000 workers), construction (246 cases), and transportation (225 cases). 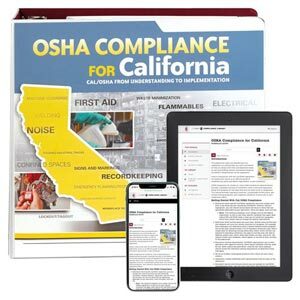 Estimates for the California Survey of Occupational Injuries and Illnesses (SOII) are derived from a statistical sample of employers in the state. The SOII program is administered by the U.S. Bureau of Labor Statistics in cooperation with participating state agencies.